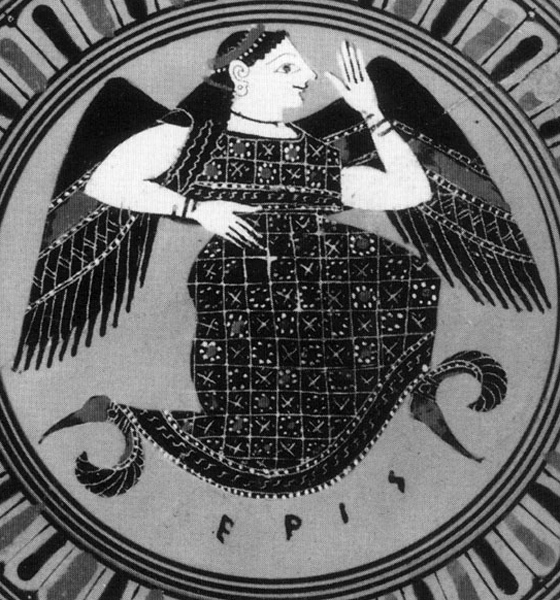 Eris (Ancient Greek: Ἔρις, “Strife”) is the Greek goddess of strife and discord, her name being translated into Latin as Discordia. Her Greek opposite is Harmonia, whose Latin counterpart is Concordia. Homer equated her with the war-goddess Enyo, whose Roman counterpart is Bellona. The dwarf planet Eris is named after the goddess, as is the religion Discordianism.